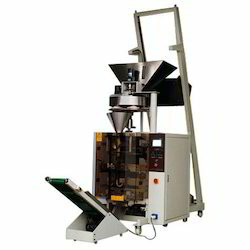 We are instrumental in offering Form Fill Sealing Machines to our prestigious customers. Our effective product range comprises of Vertical Form Fill Seal Machines, Vertical Form Fill Sealing Machines and Gas Flushing Sealing Machines. We deliver these machines within the promised time frame owing to our well-connected distribution network. 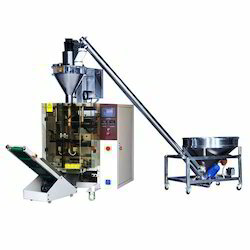 Sattu Packaging Machine. These machines are suitable for different sizes and heavy production. We provide these supreme quality packing machines with industry leading price. The Super sealer IP-HFFS-300 horizontal continuous heat bag sealer continuously seals awide range of bag materials at high speed and efficiency. The heavy dutyiP-VT-1000 painted construction in combination with proven band sealing technologyand operator friendly controls ensures continuous duty performance in demandingapplications. With rich industrial experience we are involved in manufacturing & supplying Continuous Band Sealers. These are manufactured using best quality material and sophisticated technology. These products of our company are highly reliable and are available at affordable prices. Enriched with a vast industry experience, we are engaged in the manufacturing and supplying of high quality Vertical Form Fill Seal Machines. 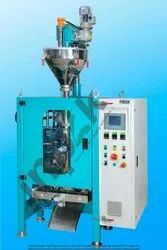 Extremely demanded in pharmaceutical, food and chemical industries, these machines are made available with a screw metering filler and power feeding machine. Offered machines are appreciated by our vast clientele for their high speed sealing, corrosion resistance and smooth functionality. 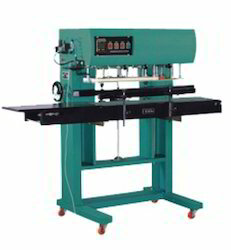 We are one of the eminent manufacturers and suppliers of Vertical Form Fill Sealing Machines that are equipped with self-centering paper roll holding with pneumatic collect. Manufactured in accordance with the predefined industry standards, these machines ensure a longer functional life and sturdy construction. These machines are made available in numerous models to fulfill the varied client needs. The Super sealer iP-VT-1000 horizontal continuous heat bag sealer continuously seals awide range of bag materials at high speed and efficiency. The heavy dutyiP-VT-1000 painted construction in combination with proven band sealing technologyand operator friendly controls ensures continuous duty performance in demandingapplications.